Written on: Sunday, July 16, 2017. Written on: Sunday, July 09, 2017. Written on: Thursday, June 29, 2017. Written on: Tuesday, June 06, 2017. Written on: Sunday, June 04, 2017. Written on: Sunday, May 21, 2017. Written on: Monday, April 03, 2017. Written on: Saturday, April 01, 2017. Written on: Monday, February 20, 2017. Written on: Thursday, February 02, 2017. Written on: Friday, January 27, 2017. Written on: Thursday, January 26, 2017. Written on: Saturday, January 21, 2017. Written on: Sunday, January 08, 2017. Written on: Thursday, December 22, 2016. Written on: Sunday, December 04, 2016. How Do I Reduce Hook When Bowling For A Corner Pin Spare? Written on: Friday, November 25, 2016. Written on: Wednesday, November 16, 2016. Written on: Saturday, November 12, 2016. Written on: Monday, November 07, 2016. Written on: Sunday, October 30, 2016. How Do I Improve My Bowling With My Bad Back? Written on: Sunday, October 23, 2016. Written on: Friday, October 21, 2016. Written on: Wednesday, October 12, 2016. Written on: Monday, October 10, 2016. Written on: Saturday, October 08, 2016. Written on: Thursday, October 06, 2016. Written on: Monday, September 26, 2016. Written on: Friday, September 23, 2016. Written on: Thursday, September 22, 2016. Written on: Friday, September 16, 2016. Written on: Friday, September 02, 2016. Written on: Wednesday, August 31, 2016. Written on: Friday, August 19, 2016. Written on: Tuesday, August 16, 2016. Written on: Wednesday, August 10, 2016. How Do I Reduce Hook When Bowling For The Ten Pin? Written on: Sunday, August 07, 2016. Written on: Saturday, August 06, 2016. Written on: Monday, July 18, 2016. Written on: Monday, July 11, 2016. Written on: Tuesday, July 05, 2016. Written on: Saturday, July 02, 2016. How Do I Improve My Bowling Scores? Written on: Monday, June 20, 2016. Written on: Thursday, June 09, 2016. Written on: Wednesday, June 08, 2016. Written on: Tuesday, June 07, 2016. Written on: Monday, June 06, 2016. Written on: Saturday, June 04, 2016. Written on: Friday, June 03, 2016. Written on: Wednesday, June 01, 2016. Written on: Friday, May 27, 2016. Written on: Thursday, May 26, 2016. Written on: Tuesday, May 24, 2016. Written on: Monday, May 23, 2016. Written on: Saturday, May 21, 2016. Written on: Wednesday, May 18, 2016. Written on: Monday, May 16, 2016. Written on: Friday, May 13, 2016. Written on: Tuesday, May 10, 2016. Written on: Tuesday, May 03, 2016. Written on: Sunday, May 01, 2016. Written on: Thursday, April 28, 2016. Written on: Thursday, April 14, 2016. Written on: Tuesday, April 05, 2016. Written on: Saturday, April 02, 2016. Written on: Wednesday, March 30, 2016. Written on: Tuesday, March 15, 2016. Written on: Monday, March 14, 2016. Written on: Saturday, March 05, 2016. Written on: Thursday, March 03, 2016. Written on: Friday, February 26, 2016. Written on: Wednesday, February 24, 2016. Written on: Sunday, February 21, 2016. Written on: Saturday, February 20, 2016. Written on: Friday, February 19, 2016. Written on: Thursday, February 18, 2016. Are You Losing Your Bowling Ball Reaction? Written on: Wednesday, February 17, 2016. Written on: Tuesday, February 16, 2016. Written on: Monday, February 08, 2016. Written on: Sunday, February 07, 2016. Written on: Friday, January 22, 2016. Written on: Tuesday, January 19, 2016. Written on: Thursday, December 24, 2015. Written on: Friday, December 18, 2015. As A 200 Plus Senior Bowler, How Can I Improve? Written on: Thursday, October 22, 2015. Written on: Wednesday, September 23, 2015. Written on: Wednesday, August 26, 2015. How Do I Free Up My Bowling Swing? Written on: Friday, August 21, 2015. What Are Three Quick Tips I Can Use When Getting Ready For Competition? Written on: Wednesday, August 19, 2015. How Do I Get Out Of Jail When I Am Bowling Poorly? Written on: Tuesday, August 18, 2015. How Can I Learn A Smooth Bowling Release? Written on: Friday, July 10, 2015. How Do I Stop Forcing My Bowling Ball? Written on: Wednesday, June 17, 2015. How Can I Control My Bowling Ball Loft Distance? Written on: Wednesday, June 03, 2015. How Can I Regulate My Bowling Ball Loft? What Can I do If My Bowling Ball Speed Is Not What Experts Recommend? Written on: Tuesday, June 02, 2015. How Can I Stop Cutting My Bowling Swing Short? Written on: Saturday, May 23, 2015. Will Faster Feet For Senior Bowlers Increase Bowling Ball Speed? Written on: Wednesday, May 20, 2015. How Can I Get Better Balance When I Bowl? Written on: Tuesday, May 12, 2015. How Can I Bowl Better Even Though I Average 235 In League? Written on: Thursday, April 23, 2015. Why Do I Take My Eyes Off Of My Bowling Spot? Written on: Monday, April 20, 2015. How Can I Stop Losing Balance When Delivering My Ball? Written on: Saturday, April 04, 2015. Written on: Sunday, March 15, 2015. Written on: Wednesday, March 11, 2015. How Do I Control My Bowling Ball Skid Distance? How Can I Stop Flinching When I Bowl? Written on: Sunday, March 08, 2015. 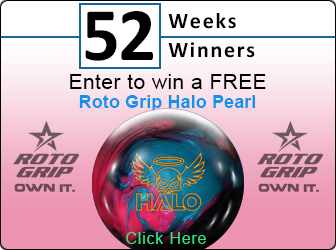 How Can I Stop Steering My Bowling Ball? Written on: Thursday, March 05, 2015. Are My Bowling Aim And Alignment Two Different Things? Written on: Wednesday, March 04, 2015. How Can I Improve As A Super-Senior Bowler? Written on: Saturday, February 07, 2015. How Far Should I slide From The Foul Line? How Can I Bowl More Accurately? Written on: Monday, February 02, 2015. How Can I Become A Tough Bowler? Written on: Monday, January 26, 2015. How Do I Make Bowling Adjustments With My Spot And Feet? Written on: Tuesday, January 13, 2015. Written on: Monday, January 12, 2015. Written on: Sunday, January 11, 2015. Written on: Saturday, December 20, 2014. How Can I avoid Making Bowling Mistakes? Written on: Tuesday, December 16, 2014. Written on: Wednesday, December 10, 2014. Written on: Tuesday, December 09, 2014. Written on: Sunday, December 07, 2014. Written on: Saturday, December 06, 2014. Written on: Wednesday, December 03, 2014. Written on: Monday, December 01, 2014. Written on: Tuesday, November 11, 2014. Written on: Monday, November 10, 2014. Written on: Sunday, November 09, 2014. Written on: Thursday, November 06, 2014. Written on: Wednesday, November 05, 2014. Written on: Monday, August 04, 2014. Written on: Saturday, August 02, 2014. Written on: Sunday, July 06, 2014. Is Leaving A Weak Ten Really A Bad Bowling Result? Written on: Tuesday, July 01, 2014. Written on: Sunday, June 01, 2014. Written on: Sunday, May 25, 2014. Written on: Sunday, May 04, 2014. Written on: Thursday, May 01, 2014. Written on: Thursday, April 24, 2014. Written on: Monday, April 07, 2014. Written on: Friday, April 04, 2014. Written on: Tuesday, March 04, 2014. Are You Pleased With Your Bowling Game? Written on: Sunday, March 02, 2014. Written on: Saturday, March 01, 2014. Written on: Tuesday, February 04, 2014. Written on: Thursday, January 09, 2014.
Who Is Your Bowling Mentor? How Good Of A Bowler Are You? Written on: Saturday, October 05, 2013. Written on: Friday, October 04, 2013. Written on: Tuesday, October 01, 2013. Are You Struggling With The Ten Pin Bowling Spare? Written on: Friday, August 16, 2013. Written on: Tuesday, August 06, 2013. Written on: Sunday, August 04, 2013. Written on: Saturday, August 03, 2013. Written on: Friday, August 02, 2013. Written on: Tuesday, January 15, 2013. Written on: Thursday, July 05, 2012. Spare Me! How Do The Top Pros Approach Spares? Practice? We're Talkin' About Practice? Written on: Monday, February 13, 2012. Written on: Saturday, February 11, 2012. Written on: Tuesday, January 17, 2012. Written on: Sunday, January 08, 2012. Written on: Tuesday, December 27, 2011. Congrats to our newest 52 Weeks/52 Winners Contest Winner Brenda Bates! Written on: Tuesday, November 29, 2011. Written on: Monday, November 14, 2011. Written on: Tuesday, October 18, 2011. Written on: Thursday, October 13, 2011. Written on: Tuesday, September 13, 2011. Written on: Monday, August 22, 2011. Written on: Friday, August 19, 2011. Written on: Monday, August 15, 2011. Written on: Wednesday, July 13, 2011. Written on: Wednesday, May 11, 2011. Written on: Monday, May 02, 2011. Written on: Thursday, March 17, 2011. Written on: Monday, February 21, 2011. Written on: Thursday, February 10, 2011. Written on: Thursday, December 16, 2010. Written on: Friday, December 10, 2010. Written on: Wednesday, December 08, 2010. Written on: Thursday, November 18, 2010. Written on: Monday, November 15, 2010. Written on: Friday, October 22, 2010. Written on: Friday, October 08, 2010. Written on: Monday, September 20, 2010. Written on: Sunday, August 29, 2010. Written on: Sunday, August 15, 2010. Written on: Thursday, August 05, 2010. How Can I Tune My Bowling Game? Written on: Sunday, March 21, 2010. Written on: Thursday, January 07, 2010. Written on: Saturday, January 02, 2010. Written on: Thursday, September 10, 2009. Written on: Saturday, May 16, 2009. Written on: Thursday, April 16, 2009. Written on: Tuesday, December 16, 2008. Written on: Thursday, October 16, 2008. Written on: Monday, September 22, 2008. Written on: Thursday, August 28, 2008. Written on: Saturday, August 23, 2008. Written on: Thursday, August 21, 2008. Written on: Sunday, August 17, 2008. Written on: Friday, August 15, 2008. Written on: Friday, February 15, 2008. Written on: Sunday, January 27, 2008. Written on: Thursday, June 21, 2007.